It’s The Sound of Music. With alpacas! The lakeside town of Millstatt is a little slice of Alpine awesomeness just across the Slovenia border with Austria. 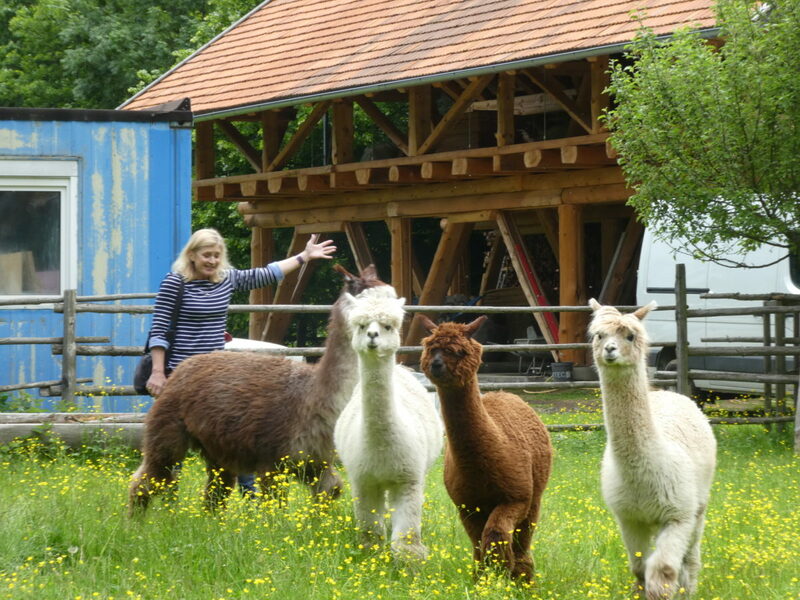 I visited just in time to meet the resident alpacas in the neighboring village of Matzelsdorf and learn how a species native to South America is thriving in the heart of Europe. 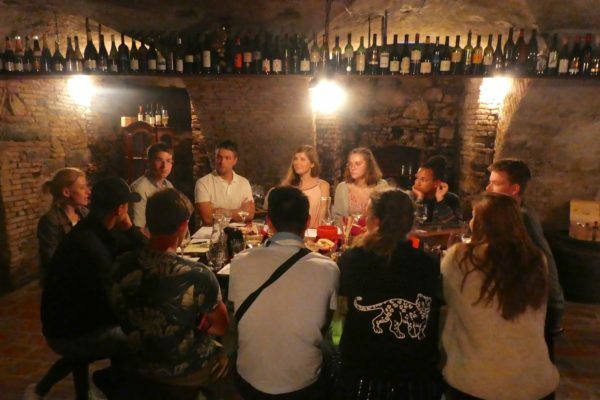 Like so many of my stories on this blog, this one begins in Slovene language school, where I met Martina Trauntschnig. 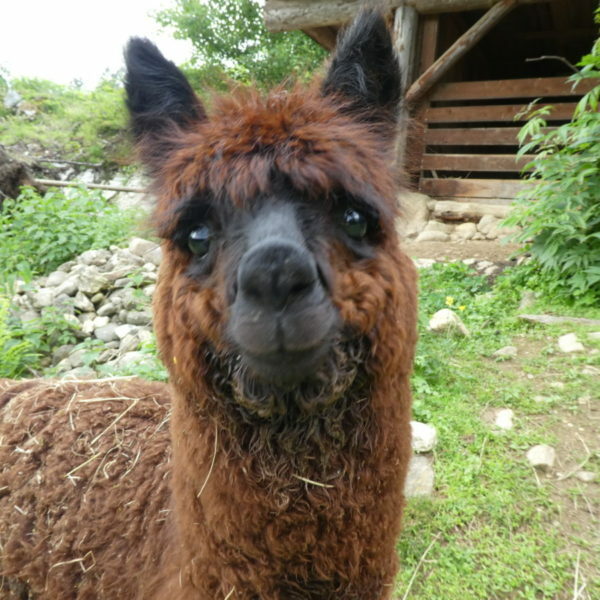 When the teacher asked questions like, “Why are you learning Slovene?” or, “What is your favorite animal?” Martina’s answers usually had something to do with alpacas. Alpacas? I wanted to know more. Fortunately for me, Martiina is one of those multi-lingual Europeans who can keep native German and fluent English in her brain while learning Slovene. She was one of the top students in my group. How do you solve a problem like Martina? 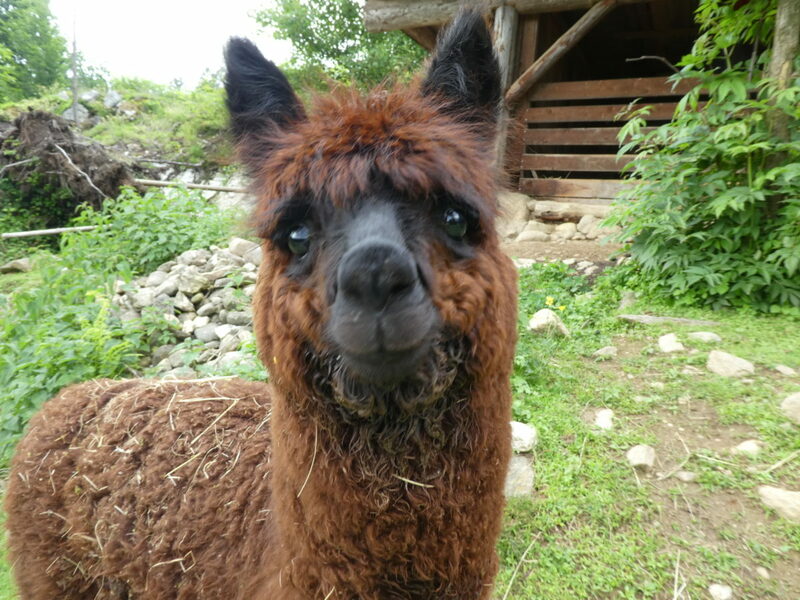 This Austrian alpaca farmer has never seen the sound of music. Martina grew up in the hills around Mittstatt. 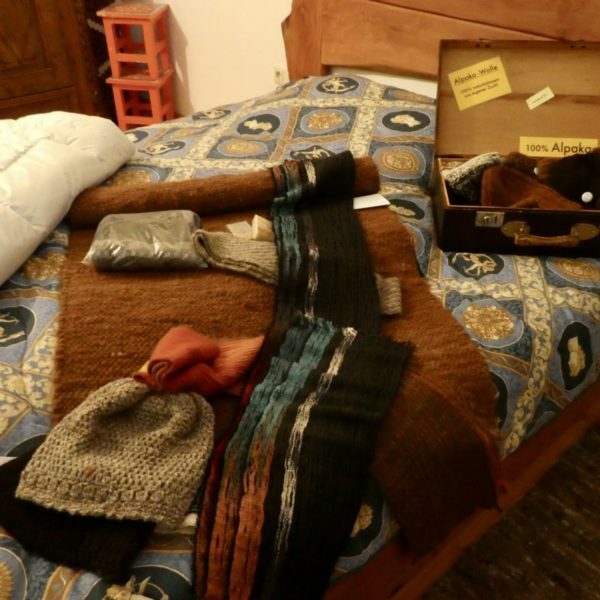 She traveled around the world to Australia and back before coming home to buy a small farm. Not wanting to pay someone to mow 3 hectares (7.5 acres) of grass, she and her husband decided to raise animals that would do the job for them. 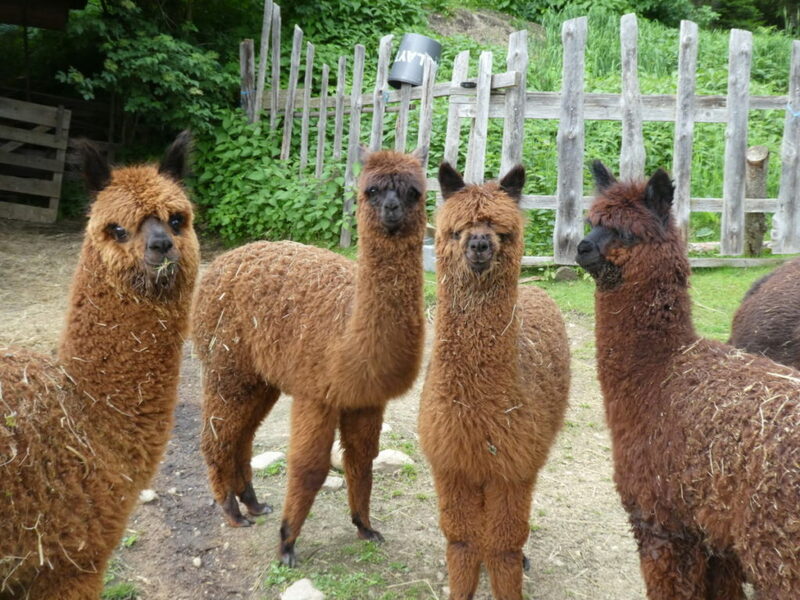 In 2002 they bought their first alpaca from a breeder in France. She wasn’t lonely for long. The couple networked to find a breeder in the Netherlands who was importing animals from Peru. “And I became a farmer,” Martina says with a smile. 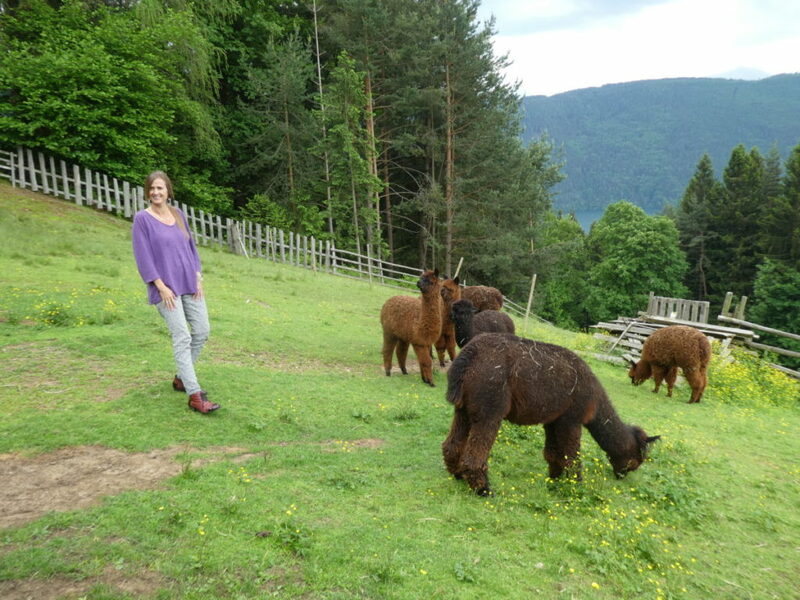 We also found out about the little-known role of alpacas in Austrian wine making. A farmer who was trying to keep deer from eating his vines asked Martina for help. Deer are afraid of alpacas, so he borrowed a few of them to patrol the vineyard. After that, the scent and the poop left behind by the alpacas was enough to keep the deer away. 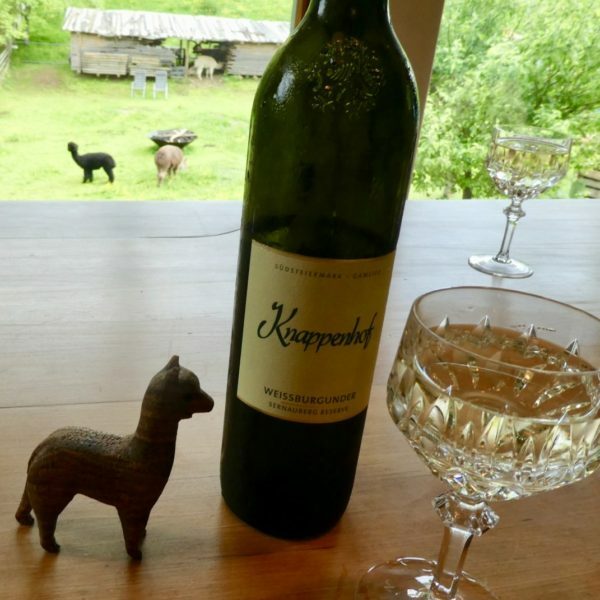 We sampled the alpaca wine, a dry 2015 white burgundy. It was the perfect aperitif for a sunny spring day. After meeting the pregnant alpacas, we moved on to a bigger pasture for the youngsters. It’s the kind of Austrian alpine scenery made famous by The Sound of Music, where an American might break into a chorus of “The hills are alive…” and twirl around like Julie Andrews. Most Austrians, including Martina, have never seen the movie and had no idea what I was talking about. An alpaca named Liberty was curious about me and moved his face close to mine. Was he going to spit? No, he just wanted a sniff and he didn’t like it. One whiff of a blogger with a camera was enough to send him packing. 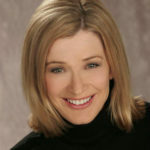 Although the farm isn’t really a tourist attraction, visitors may inquire on Martina’s website. Past visitors have included bridal shower sleepovers in the field huts and even one adventurous honeymooning couple. Martina and her husband have been planning to move back into town. They are restoring an elegant manor home in Millstatt, creating several luxury lakeview apartments using traditional eco-construction methods. 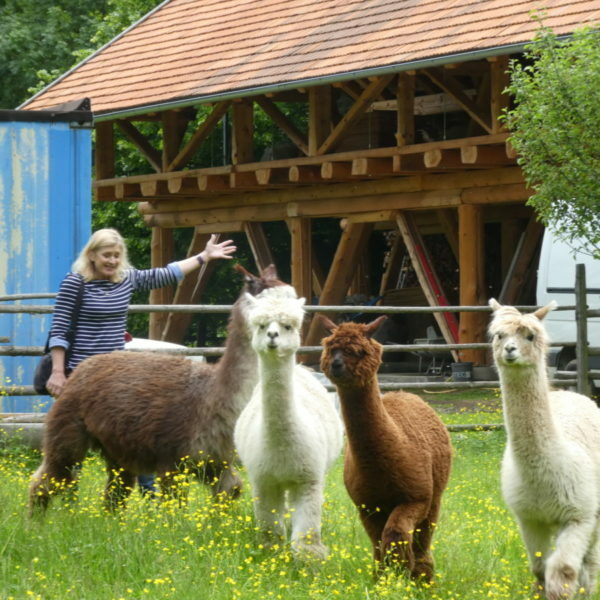 At the time of my visit, Martina was in the process of finding her alpacas a new home. I’ll keep you posted. 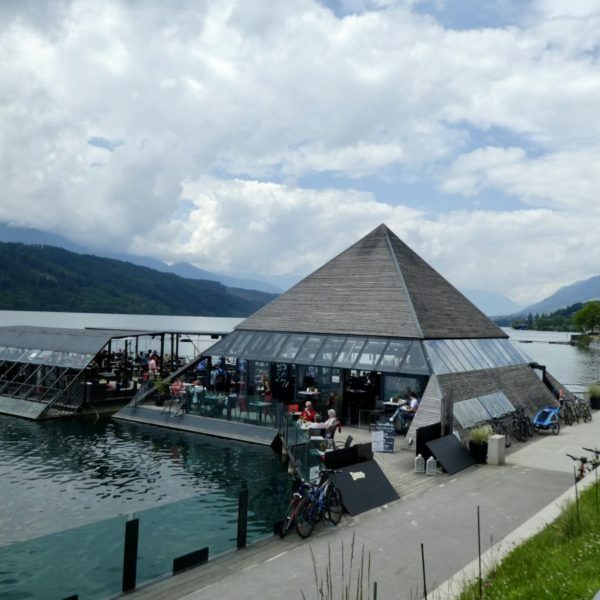 Millstatt has been attracting tourists since Austrian royalty vacationed here in the late 1800s. 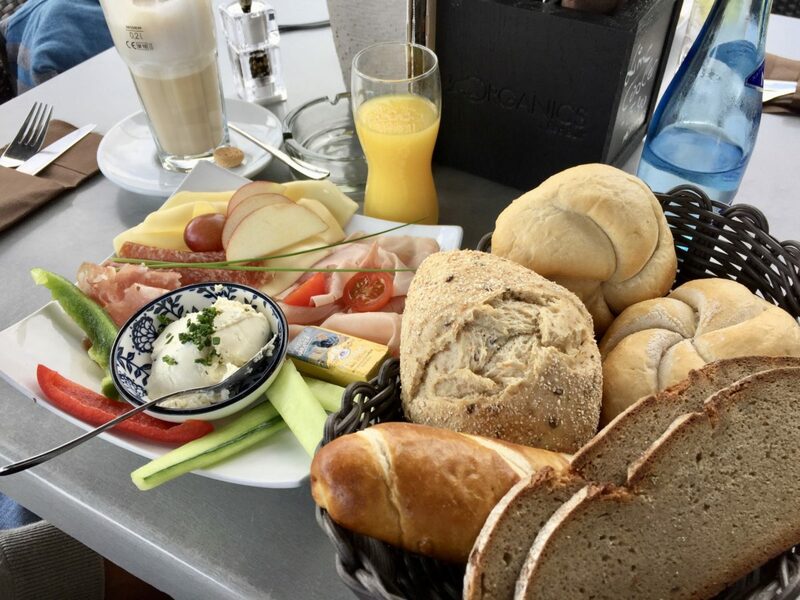 It makes a fun day trip from Ljubljana, if you’d like to get a little taste of Austria. The region that gained independence as Slovenia in 1991 was once part of the mighty Austro-Hungarian Empire. 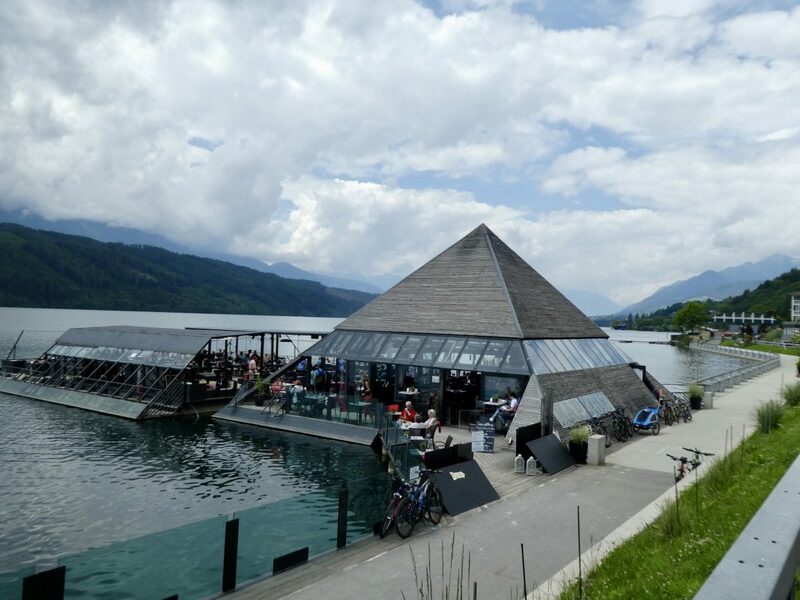 We stopped for a late breakfast at Kap 4613, a trendy beach bar on a floating dock in the lake. 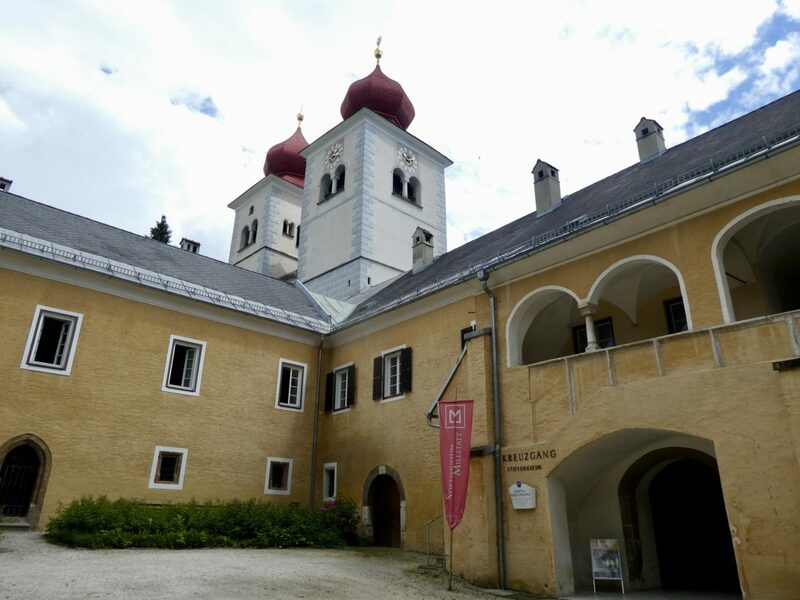 We also took a self-guided walking tour around the former monastery that has been transformed into a cultural center. 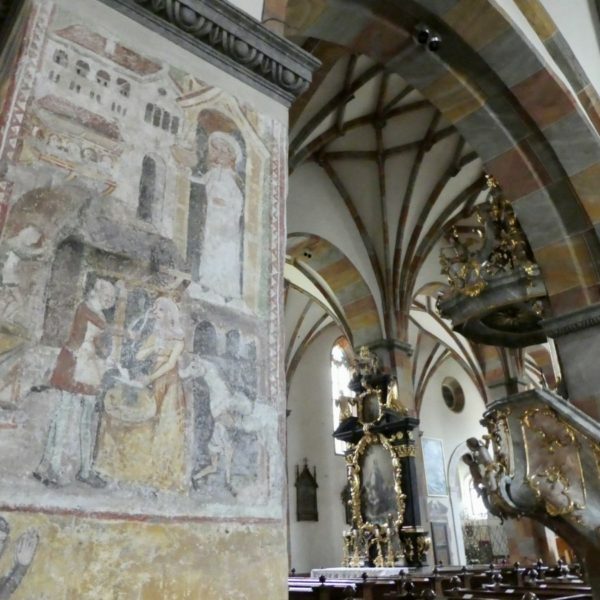 The church or Stiftskirche, with its Romanesque art details, is an important Catholic pilgrimage destination every year. 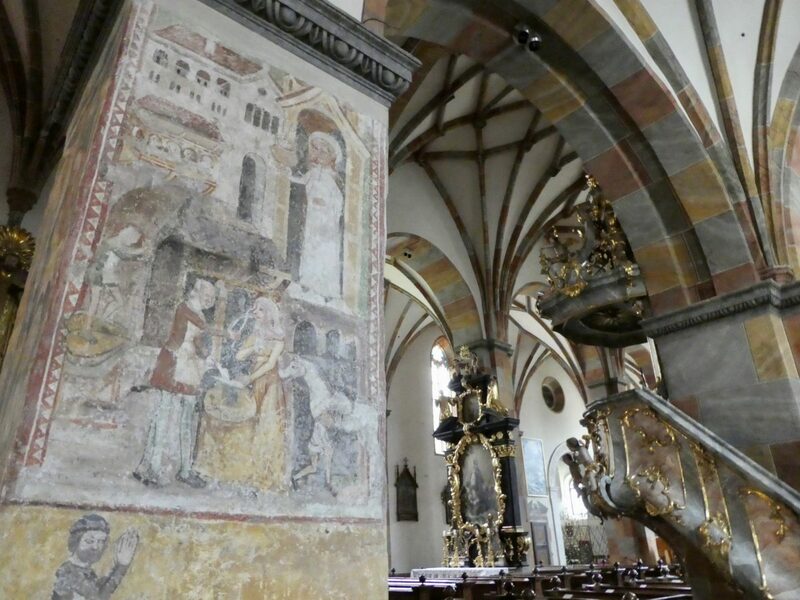 The nearby village of Matzelsdorf also has a lovingly restored historic church on the religious route. 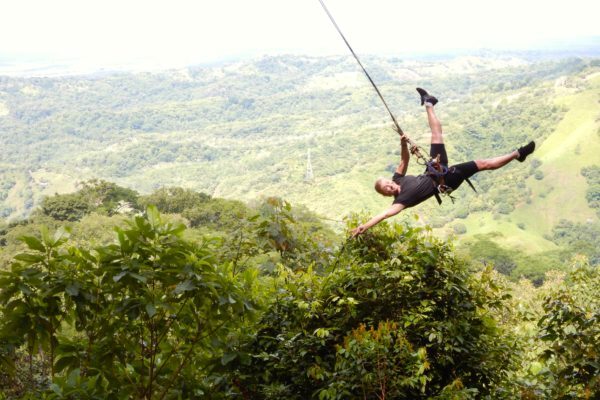 You might even decide to stay awhile at one of the quaint guesthouses or lakefront hotels. Thank you for supporting this blog by browsing the hotels and making your reservation on Trip Advisor. 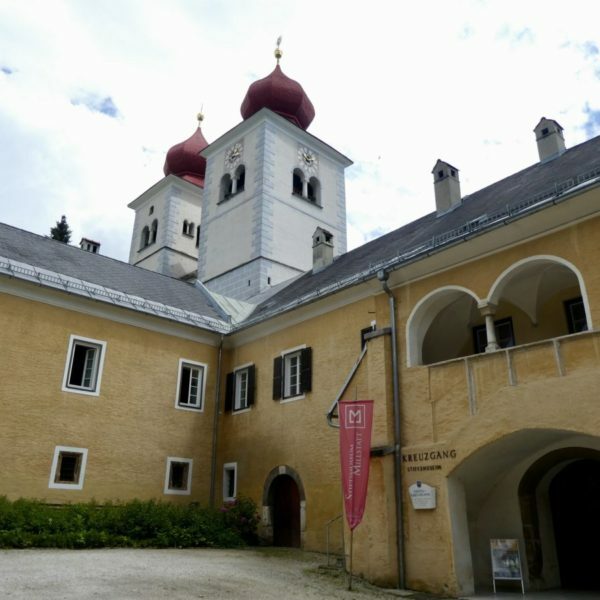 And if you’re really into The Sound of Music, Salzburg is only 2 hours away by car. 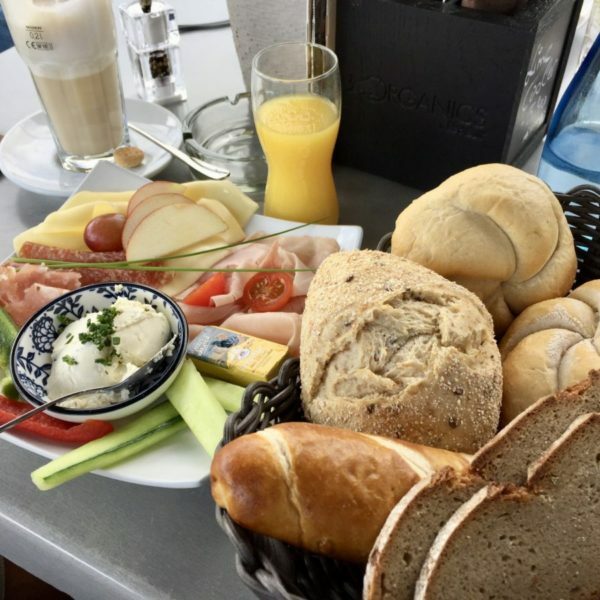 Want more tips for unique experiences in Europe? Like @strangersinthelivingroom on Facebook, and sign up for the occasional email when there is a new post here on the blog. You can follow Terry Anzur on Instagram,Twitter and Pinterest. 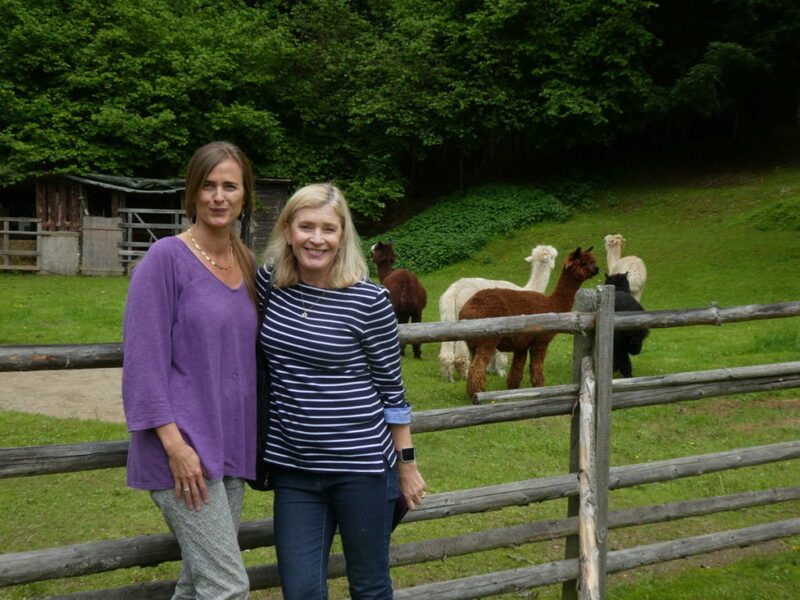 Thanks, Martina, for an unforgettable day with the alpacas in your living room.